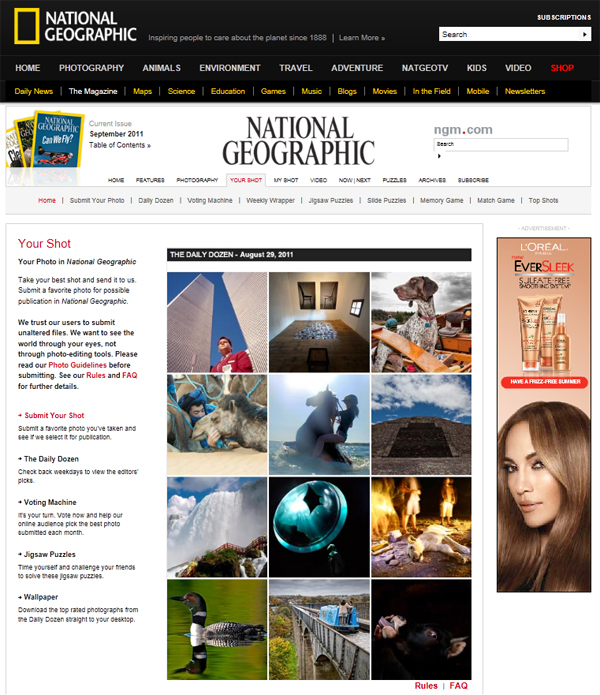 National Geographic's Your Shot page has long been a favorite of mine. Images are submitted from all over the world for consideration, and the senior editorial staff selects 12 photographs on a daily basis to display. The images that are chosen never cease to be remarkable in some way. Rare moments, human emotion, nature, world events, and artistic creativity are among the elements that can often be seen side-by-side in the Daily Dozen. Unique is probably the best way to describe the shots in this feature. It's fun to see some fly fishing subject matter in the mix today. 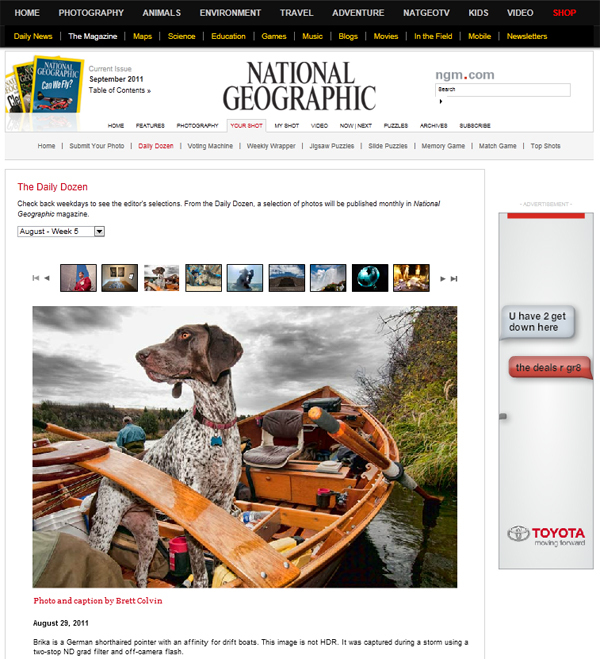 Brika, the sweetheart pup of WorldCast guide Casey Birkholz, is posing on a wooden dory in today's picks. I've been asked if this image was done using HDR software, and the answer is no. I achieved the effect using a neutral density filter, an off-camera strobe diffused through an umbrella, and some light burning of the clouds in CS5. On a recent hike into the backcountry looking to photograph elk, I decided to carry the Boomstick - a Nikon 400mm f/2.8 AF-S VR lens. When I say "carry" I don't mean in a backpack or harness, I mean freehand. With camera and grip attached, this rig weighs in around 13 pounds. I often carry this lens without a pack, and shoot it hand held. Mature bull elk in areas where hunting is prevalent are a cagey bunch, and opportunities can last only seconds. In this case, however, I hiked over an area roughly the size of the Louisiana Purchase and didn't catch a single glimpse of elk hide. As I was making the steep descent back to the vehicle, I came across a common Least Chipmunk, neotamias minimus. A few things jumped out at me when I spotted this little guy. He was facing towards the sun, allowing for the all-important catch light to be reflected in his eye. This is a small detail that is always on my mind when photographing animals. The chipmunk was positioned on a log that would give the foreground some texture, as well as a little elevation from the grasses on the forest floor. Most interesting was the pattern of pine needles and leaves in the foliage beyond the perch. I immediately knew this would make for a soft, dappled, pleasing background. When looking to capture an image of a relatively common subject, consider ways you can make the rest of the frame uncommon. Foreground, background, texture, and details like catch light are great ways create engagement with the viewer. The final step involved compositional fundamentals. It is key in wildlife portraits to shoot at eye level. I had to get very close to the ground to accomplish this, but it's important because downward angles in photography weaken the subject's presence in the image. 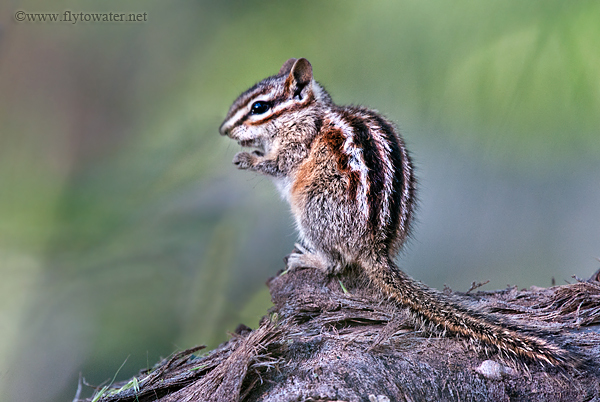 The chipmunk's eye is located 1/3 of the frame from the top edge, which is a foundational element of the Rule of Thirds as it applies to portraits. Lastly, I chose a position that allowed the chipmunk's tail to enter at the corner, creating a natural leading line for the eye to easily follow into the photo. When getting outfoxed by the day's primary objective - improvise and look elsewhere. The practice pays off when the main event suddenly shows up, and all these fundamentals need to be more instinctive and less deliberate. During some of my recent off-blog time, the build has been continuing on the 2nd generation TroutSnatcher. 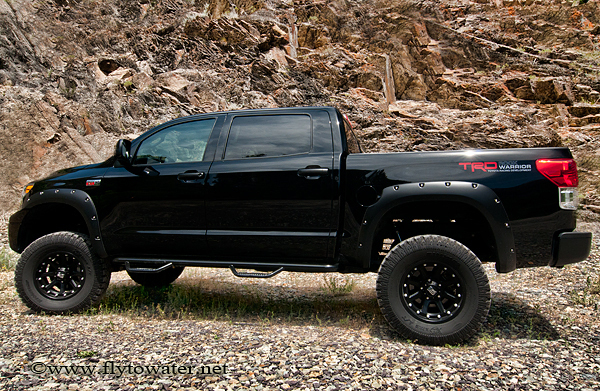 This rig started life as a Toyota Tundra TRD Rock Warrior, but as is all too common with "stockers" it wasn't yet a keeper and needed to grow up. OEM-edition pickups tend to be immensely practical. While seated in the driver's position you can generally reach down and access ground-dwelling forbs and berries without the hassle of a dismount. The downside of practicality is that you are frequently mistaken for the driver of a Subaru Brat or Chevy El Camino, neither of which are known for staggering off-road capabilities. The first order of business in this case was to eliminate what I call the Tutu Effect. Due to a variety of boring reasons, stock trucks tend to have wheels and tires that are slightly recessed into the fenders. When viewed from the front or rear, this creates a silhouette not unlike a ballet dancer in a tutu - bulbous at the hips and tapering down to a more narrow profile where the rubber meets the road. Good for a plié, not so good for a 4x4. To rectify this situation I added a set of XD 798 Addicts in an 18x9 size, with a more appropriate offset to fill out the wheel wells and widen the stance slightly. 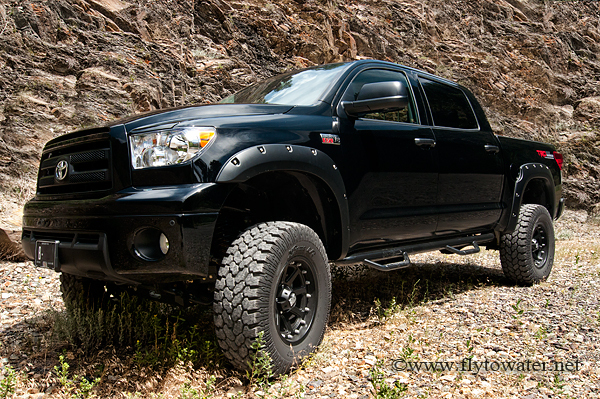 Wrapped around the alloys are 35-inch ProComp Extreme A/T tires, which I've used several times in the past. I have found these meats to be a very happy medium between reasonable highway ride and off-road performance. Getting enough air under the rig to clear the bigger rolling stock was accomplished with a ProComp 6-inch suspension lift. Changing the wheel offset results in having about 2" of rubber outside the fender. Some states frown on this condition and may issue an equipment citation - but it also causes road debris to flip onto the painted body panels. 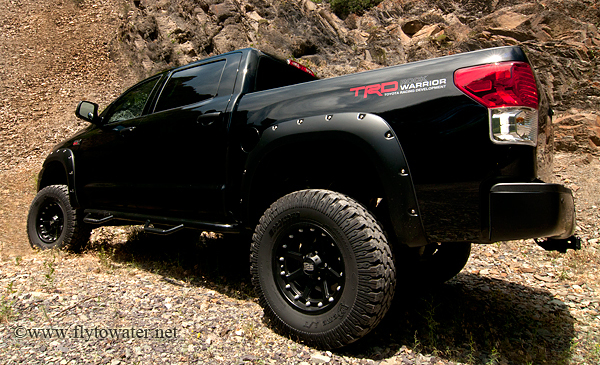 It's well worth adding a set of Bushwhacker Pocket-Style Fender Flares for a little extra coverage, as well as the assurance the truck will pass a safety inspection. Finally there's a set of powder coated N-Fab Nerf Steps, which provide both rocker panel armor as well as making entry/exit more convenient given the Tundra's higher cruising altitude. Next on the list: Cold air intake and exhaust upgrades. Alright, the blog is back in action! I took the month of July off as a hiatus to welcome a new addition to the family. 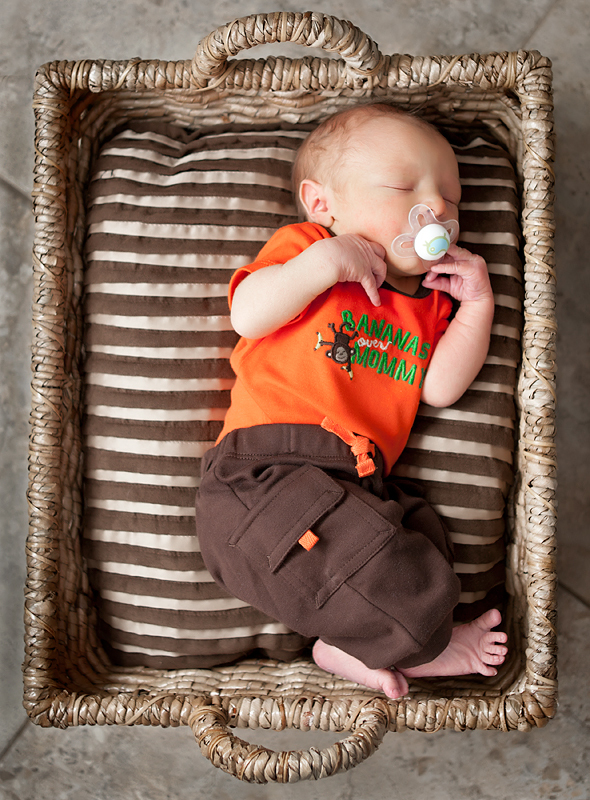 Fly to Water Jr. was born 6/30. While he has initially cut seriously into my fishing time, I do appreciate his arrival during local temperatures that have not been optimal for trout feeding activity. Mrs. Fly to Water and I have felt extremely blessed during this time. We have a great group of family and friends, and express our appreciation for all of the collective kindness that has come our way. Mom & baby are doing well and the little guy is starting to establish a pretty good grip on cork too!